Getting the Internal Server Error while generating timesheet Report in the main menu. The actual error is JSON API Error: "Could not load /api/0/timesheet" with a stack trace. There's a bug in the code that controls editing timesheets. 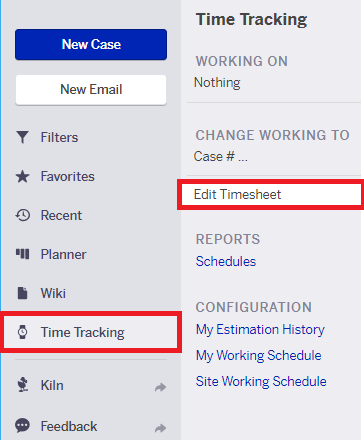 Go to Time Tracking > Edit Timesheet. Add Interval. A new dialog opens. Fill out Start and End time. Select the case number you are defining time for. Click Ok. The dialog box closes and takes your back to Edit Time-Sheet window. Click Save will confirm your changes. Please click on Delete Checkbox on the newly-added interval. Click Save again, will remove the time entry created. 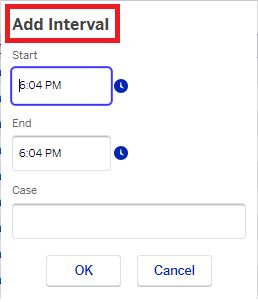 So that the new interval doesn't cause any automatic adjustments due to overlapping times.